Subcontracting is a mandatory requirement in government contracting. A large business that wins a government contract for more than $650,000 must use subcontractors to help facilitate the project. According to the the Small Business Administration (SBA), the SUB-Net database is a listing of subcontracting solicitations and opportunities posted by large prime contractors and other non-federal agencies. SUB-Net has been used by state and local governments, non-profit organizations, colleges and universities, and even foreign governments to post solicitations and identify small businesses. Subcontracting to a prime government contractor can be a good way to participate in the contracting process. Large businesses with prime contracts exceeding $650,000 (except for construction, which is $1.5 million) must provide a plan with subcontracting opportunities for all categories of small business. 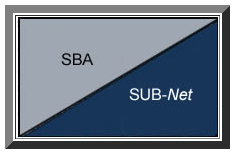 To find subcontracting opportunities, go to SUB-Net, SBA’s database, where you will be able to review the site to identify subcontracting opportunities that are in your area of expertise. It’s easy to search by all solicitations or simply by entering in the NAICS Code of the industry you are interested in searching for a subcontract. The GSA Subcontracting Directory is published for small business concerns seeking subcontracting opportunities with General Services Administration (GSA) prime contractors.The directory lists large business prime contractors who, by law, are required to establish plans and goals for subcontracting with small business firms. Small businesses are encouraged to contact prime contractors directly for subcontracting opportunities. Regional assistance: Looking beyond the directory? The eleven regional GSA Small Business Centers offer more information regarding these opportunities. If you want insight into what GSA expects from prime contractors when crafting a subcontracting agreement, review GSA’s template model subcontracting plan (Section 508 compliant version), which it offers to prime contractors to help them frame their objectives.